For 40 years Freemasons from throughout New Zealand have awarded nearly $5.2 million in scholarships to 1,162 of the country’s most talented university students. Awarded annually, the Freemasons scholarship, funded and administered by the Freemasons Charity, is the largest privately funded programme of its kind in the country. 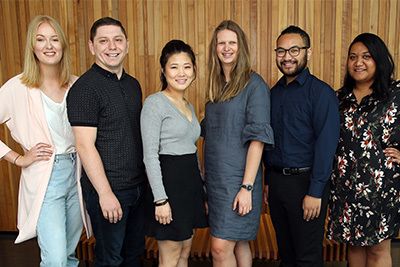 This year eight Postgraduate Scholarships of $10,000 each and 20 University Scholarships of $6,000 each will be offered to students attending any of the eight universities in New Zealand. As the Freemasons Charity opens its applications for study in 2019, we talk to one of the recipients who is studying at AUT this year. 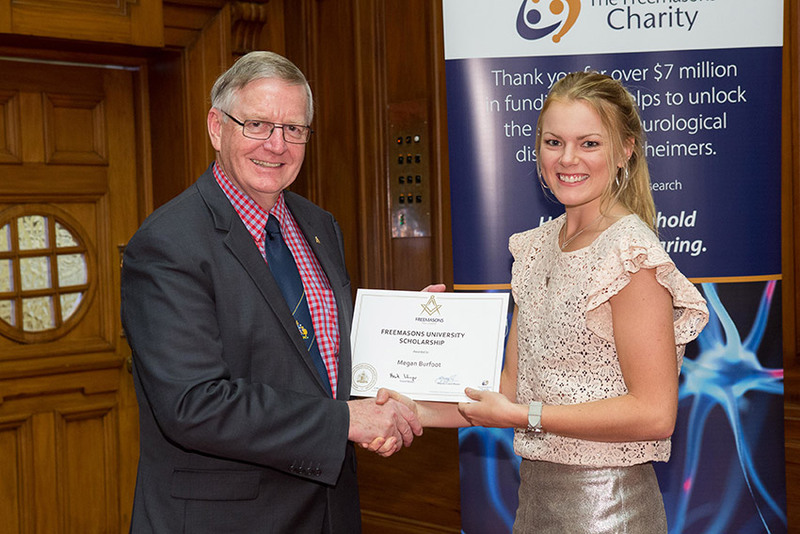 Fourth-year Bachelor of Engineering (Honours) student Megan Burfoot is one of 27 students to receive a Freemasons Scholarship in 2018. Megan has volunteered with various AUT clubs and with the Department of Conservation to plant trees, remove weeds and other ecological projects since her second year of study. She discovered the scholarship through AUT and was encouraged to apply by staff. “I’d not heard about the Freemasons or their scholarship until it was mentioned to me, so I asked family and friends and learned that they do a lot of work for the community, something which resonated with me. The application didn’t take long to do, a couple of A4 pages and a CV, but I wanted to do a good job, so I put some thought into it. Megan, along with the other scholarship recipients attended a ceremony at Parliament’s Legislative Council Chamber in May. They are destined for a wide range of careers: six academics and teachers; five research scientists; five psychologists; four in marketing and business; two environmental managers; and one engineer, ophthalmologist, physiotherapist, lawyer and architect. Applicants for the scholarships must have a good academic record, be a New Zealand citizen or hold permanent New Zealand residency, demonstrate good citizenship, show leadership potential and have proven community commitment. The scholarships are awarded without regard to gender, ethnic background, creed or age. Family association with Freemasonry is not a criterion for the award of a scholarship. The 2019 Freemasons University Scholarships are now open. Applications close on 1 October. For more information and to apply visit the Freemasons Charity website. Visit the scholarships and awards page on the AUT website for further information on available scholarships.